Home / health / What Happens To Our Body When We Lose Weight? 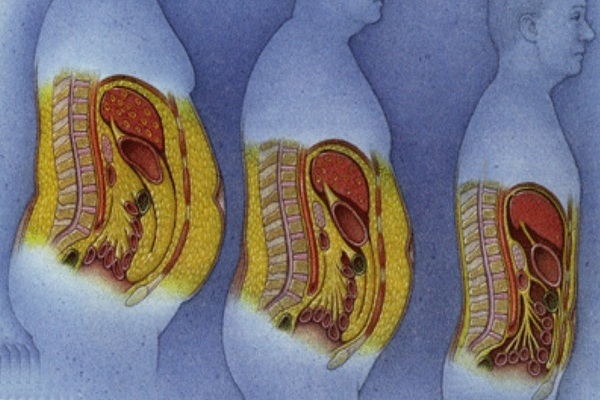 What Happens To Our Body When We Lose Weight? If you are following a special diet regimen, we bet that your final goal is getting a perfect body in a natural way, and not ending up too skinny and sick. You may find it difficult to do, but proper and balanced diet will sure help you get a nice body line. How does your body understand special diet regimens? If you want to lose some extra pounds, then you probably have excess fat on the most critical parts of your body, including your thighs and stomach. If you have already chosen a diet regimen that you find acceptable and effective, then you must be aware of the fact that every diet regimen is followed by certain rules that you must follow if you want to get the results you expect. You have probably heard the theory explaining how you should not consume certain foods, such as carbohydrates if you need to lose some weight. What we are trying to explain to you is that by doing so you will sure lose lots of muscle mass and eliminate large amount of water from your body. This kind of ‘starving’ will sure cut off some pounds (as shown on the scale), but the problem will not disappear – you will still be stuck with all the fat deposits. After you have finished with the diet regimen all you will get is weak muscles that are smaller in size, and at this point they do not burn calories. This stimulates your body to store even more fat. The yo-yo effect takes action at the same time as your body stops eliminating the same amount of water as it did before. This can be easily confirmed by anyone who has followed a special diet regimen, as each of them has already experienced that condition. You should always keep in mind that certain diet regimens can sometimes do more harm than good to your body and overall health. And it is not only the physical appearance – strict diet regimens are often followed by a number of psychological states such as disappointment, fear of future failure, giving up on the idea to lose weight and others. One of the many things that happen to your body when you lose weight that people don’t consider is that it physically stresses your body out, especially your hormones, unless you’re careful. While many doctors prescribe patients to lose weight to remove stress, losing weight actually increases stress in the body for some people instead. Depending on your state of health, weight loss can increase cortisol, the stress hormone. Your hormones directly affect every function in your body, and your hormones are also affected by how you eat and how active you are. Losing fat is also caused by increase in testosterone within body which is a natural fat burner.